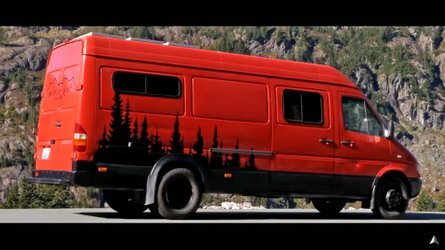 Much like it was the case with prototypes of the regular 2019 GLC, the disguise has been kept down to a minimum. 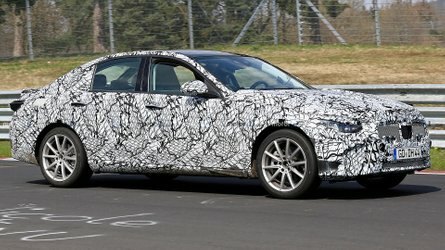 We’ve been sharing a great deal of spy content in recent times with the normal 2019 Mercedes GLC, but this is our first chance to catch a glimpse of its “coupe” sibling. 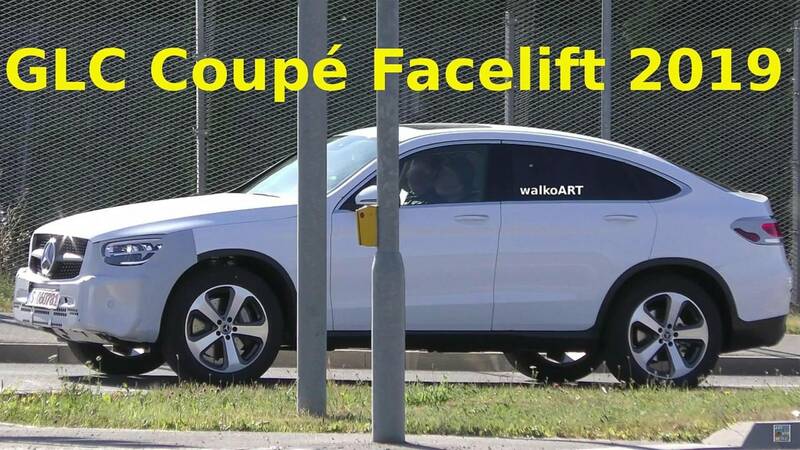 Caught in German traffic patiently waiting at a red light, the crossover-coupe mashup was seen with only a thin camouflage wrap applied onto the front bumper as well as on the headlights and taillights. 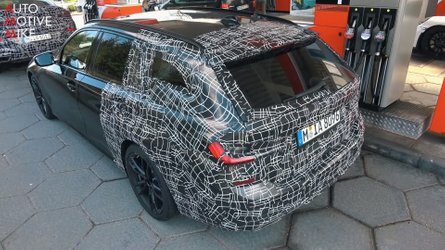 It was the exact same story with normal GLC, which goes to show these are the areas Mercedes has been working on for the mid-cycle refresh of both body styles. Although the lighting clusters remain partially hidden underneath strips of disguise, we can already notice the graphics have changes both front and rear. 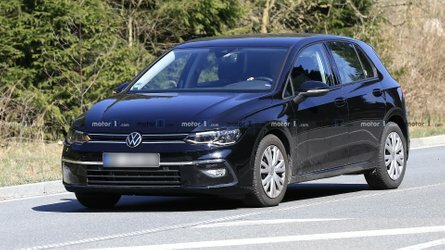 The headlights are expected to be virtually the same as the GLC’s, and we can see the LED daytime running light signature has been altered. At the back of the prototype, it’s pretty obvious the taillights will solider on with the same shape extending onto the tailgate, but the design will be different to help the GLC Coupe stay fresh and competitive in its battle with the next-generation BMW X4. 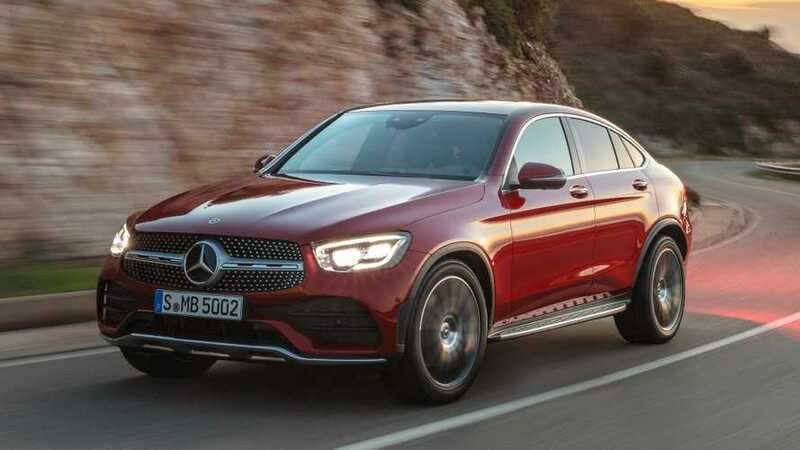 Like we said when talking about test vehicles of the standard 2019 GLC, the coupe is expected to adopt an all-digital instrument cluster and a larger display for the COMAND. Although Mercedes has launched a brand new MBUX infotainment system with the all-new A-Class, you’ll have to wait a few years for the next-gen C-Class / GLC Class to make the transition towards the new setup. 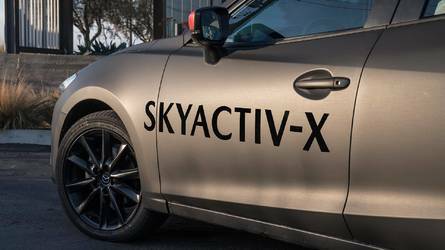 The company has explained the electrical architecture needs to be tweaked to accommodate the infotainment system and that the next C will benefit from a more advanced version compared to the A-Class’ MBUX, which will obviously be implement in its crossover counterpart as well. Meanwhile, the mid-cycle refresh for the two GLC flavors will likely be unveiled in the weeks or months to come taking into account Mercedes is using a minimal amount of camo to hide the novelties. It goes without saying the oily bits will be brought inline with those of the C-Class facelift introduced a while ago.